The lightweight miniature profile provides minimal physical size interference for the performer. Spring type clamp with elastic grip and adjustable gooseneck for secure mounting on the horn without scratching or marring delicate instrument finishes. Clip on design allows optimal placement position thereby eliminating the use of mic stands, reducing stage clutter and set up time. Outstanding for saxophone, brass, woodwind instruments. Extended frequency response and wide dynamic range for pure and natural sound without coloration. Excellent shock-mount design for superior isolation from shock and vibrations. 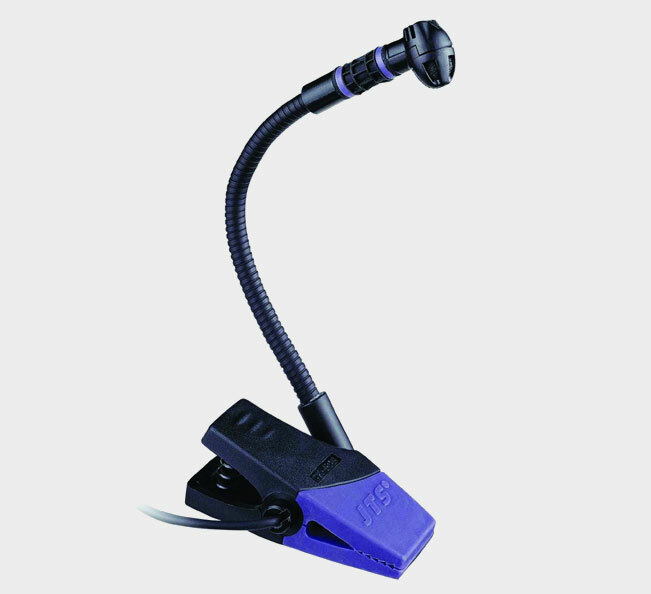 Flexible gooseneck together with adjustable axis allows accurate positioning. Newly added spider suspension isolates unwanted mechanical vibration effectively.